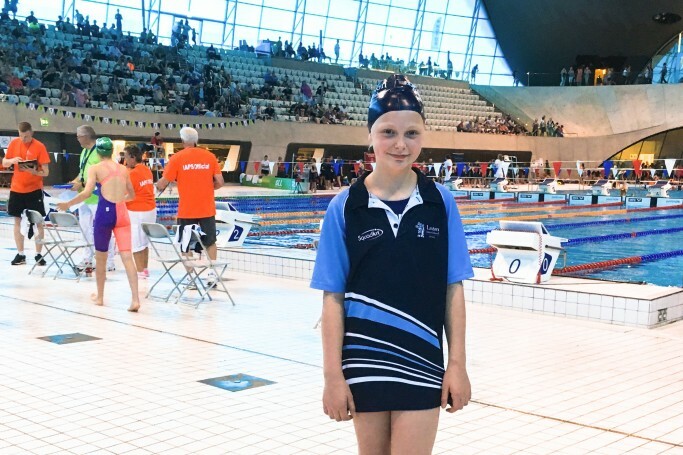 Year 5 Laxton Junior School pupil Fenella Wooddisse was one of 20 girls across the country to qualify for The Independent Association of Prep Schools (IAPS) National Swimming Finals held on Saturday 9th June. The IAPS swimming competition is aimed at all prep schools across the country. In the preliminary heats, Fenella gained a time of 19.41 seconds in the under 10s 25m Backstroke race securing her place in the IAPS Finals. Fenella, her family and Mrs Julie Clipstone, Head of Swimming attended the finals that were held at the London Aquatic Centre. The 20 girls who qualified took part in one of two heats. Fenella competed in Heat 1 and secured the second fastest time of the day at 17.39 seconds. Fenella and the other nine fastest girls went on to the finals in which Fenella gained a bronze medal with a time of 17.50 seconds. Error: Error validating access token: Session has expired on Sunday, 10-Mar-19 10:19:09 PDT. The current time is Thursday, 25-Apr-19 15:14:12 PDT.